Are you struggling to see conversions from your content marketing strategy? Even if you’re attempting every trick in the book to persuade your audience to convert from visitor to customer, you wouldn’t be alone if you’re getting a poor ROI from content marketing. However, there’s a different approach you can take when crafting content for conversions: ensuring each piece has maximum search visibility. …You want to see your content show in your ideal customer’s Google search results, right? SEO can help brands drive organic traffic (and warm leads) to your site and see a better return on your content marketing investment. Since users are looking for content that you can provide, why wouldn’t you want to get involved? That’s partly why the top 3 traffic sources driving sales for eCommerce sites are organic (22%), email (20%) and CPC (19%). Plus, 53% of global internet users made an online purchase in 2016. In this article, we’re sharing how one tweak will help your business create content that’ll hit the top spots in Google: ensuring it’s focused on each stage in the buying funnel. Also known as a “purchase funnel,” “sales journey,” or “sales funnel,” a buying funnel is a process every customer has before purchasing something, no matter whether it’s on or offline. The buying funnel starts long before the consumer has even thought about a solution to the problem they’re experiencing and, the same funnel is used by anyone purchasing from an eCommerce store – including yours. …But why does your content marketing strategy need to revolve around these set of actions? Well, because your content is important. It’s how you communicate with your customers through the internet. You can’t talk face-to-face with visitors online, so you’ll have to rely on the power of the written word to convince them you’re worthy of their cash. By providing them with awesome content at the right stage, they’re more prone to stick with your brand – and use your products or services as a solution to their problem. This is the basics of on-site conversions, and why you need to consider the buying funnel in your content marketing strategy. No matter which steps your customer is currently experiencing, you’ll need to create different types of content for each stage of the buying funnel. Luckily for you, that doesn’t mean crafting a single piece of content that’s unique to every visitor. The chances are your ideal customers share similar problems or pain points. Your content revolves around the buying funnel for the same problem – no matter which stage they’re in. The ‘awareness’ stage is the first stage in this process. This is where your content optimization journey should begin. At this point, people aren’t ready to buy. It’s unlikely that they’ll know your brand exists (unless your brand awareness is already through the roof – like Google or Amazon’s! ), or know they need your product. 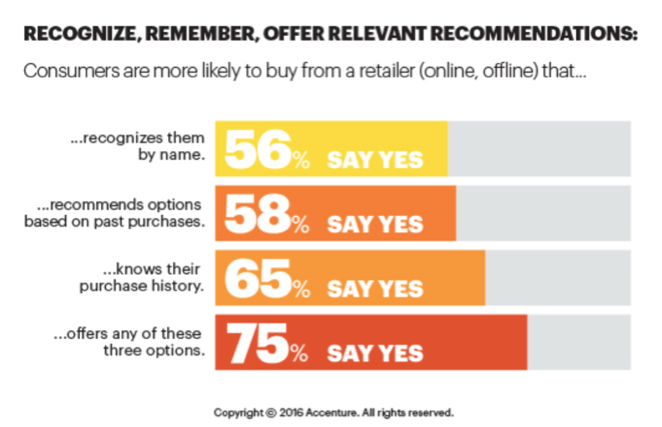 Because of this, the awareness stage tends to have the lowest conversion rates. You’re starting from scratch and trying to win over a completely cold lead. Having said that, it’s not impossible. You should be nurturing people who’re in this stage because getting in early could set a great first impression. How, you ask? The answer’s simple: through your content. Because people at this stage aren’t ready to hand over their cash and purchase a solution, you’ll need to do some research to find out how they’re looking for information. Keyword research will help with this. Use a tool like Google Keyword Planner, Ubersuggest or Ryte Content Success to find general, long-tail keywords that someone potentially interested in your product might be searching for. For content in this stage, you’ll need to base it around keywords with a high search volume. This casts a wider net – which is great because you should be looking for leads to bring to your website. The people searching for these might be interested in the overall topic, but aren’t ready to dive into great detail. 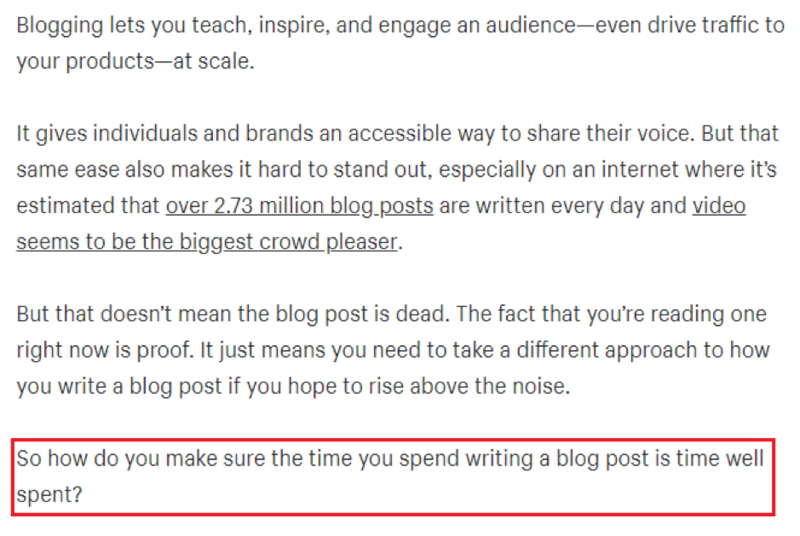 Because of this, blog content for this stage should be short, and tell your ideal customers they’re struggling with a problem – even if they don’t realize it, yet. People in the interest stage might know they have a problem, but they’re just looking into it. Also not ready to hand over their cash and buy, they know they want a solution, but they aren’t sure what that entails (or how to go about it). How do you make these people aware of your product or service, and convince them that you can help to solve their problem? The answer: targeted blog posts that are more specific to their individual needs. Because people in this stage of the buying funnel still aren’t ready to buy, there’s no need to go overboard with the level of detail in your blog content. However, they’re looking for a solution. You’ll need to provide them with more detail than content from the awareness stage does. Once you’ve nailed the keyword and the pain point, use them in your targeted blog post. This way, the person reading it will feel like your brand “gets them”, and they’ll progress further into the buying funnel. Once your customer has progressed to the consideration stage, they’re wondering whether the solutions they’ve browsed will be a good fit for them. If you’ve put the work in and made a good impression whilst the customer was in the first two stages of the buying funnel, your business might be in the running. So, you’re looking to persuade people that you’re the best person to solve their problem. Notice how we didn’t mention blog posts as the content you should create during the consideration stage? That’s because people at this stage are looking for more information, and have more time to consume a longer piece of content such as an eBook or whitepaper. …but you can start by discussing their pain points and letting them know you understand. When someone is at this stage of the buying funnel, they’re looking for content that will reinforce the solution they’ve got in their head. Often a few minutes away from hitting the “buy now” button, you’ll need to optimize a few pages to give them an extra nudge. But how can you do that with content? Information pages on your website – such as service, product and “about us” pages tell the world what you’ve got to offer. 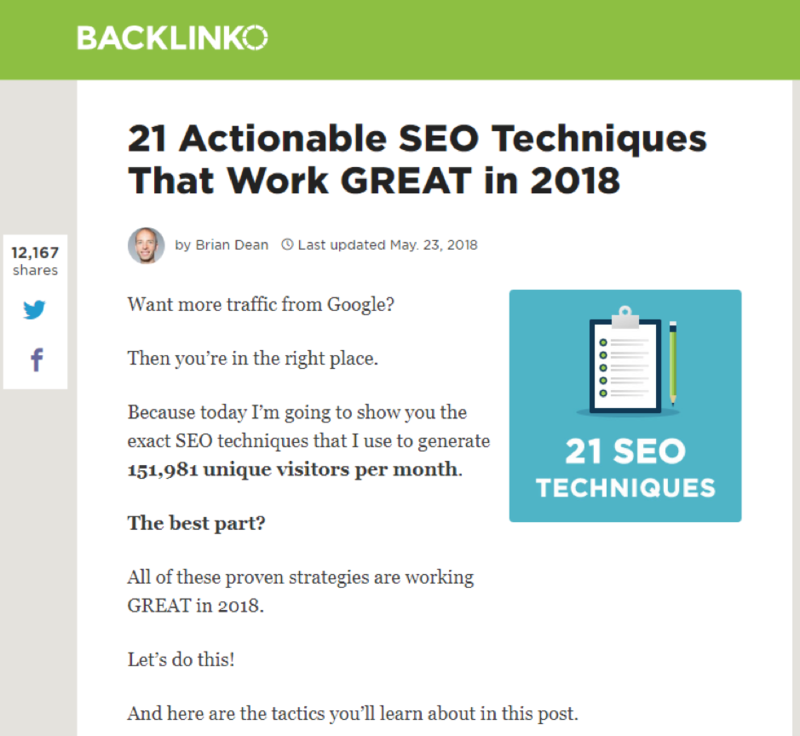 However, people landing on these pages are likely to be looking for further information – especially if they’ve visited blog posts and downloaded your eBook first. Hot leads look at website’s information pages and determine who they’re going to buy from. If you can get in there and prove you’re the one for the job, why wouldn’t they choose you? Adding USPs to your pages, which helps your site to stand out amongst competitors. Using live chat features for any last-minute questions your audience might have. Including screenshots of your product. Notice how much more interesting this is, compared to a page full of text? Not only does it make the page less overwhelming for someone considering a purchase, but it also shows exactly what you’ll get once you purchase the product. That’s bound to tip someone over the edge. 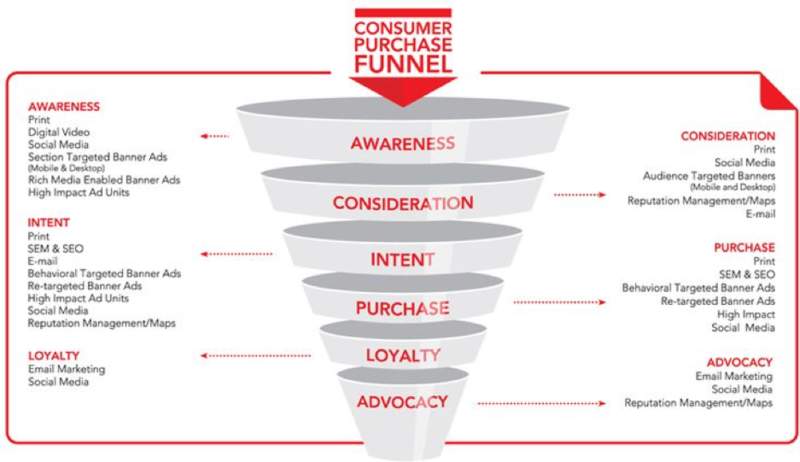 The final stage of the buying funnel is when someone is seconds away from making a purchase. They’ve already made their mind up on who they’re going to buy the product or service from but still might need a tiny bit more convincing when they head to checkout. Because people at this stage have overcome the tipping point of making a purchase, the only thing you can do to make them take action is to… you guessed it, add a call to action. These small snippets of text tell someone to do something now, rather than later. So, add a call to action on the information pages we discussed earlier. That way, when someone has read these pages and been convinced to buy from you, they don’t have to dig around your website to do so. Download…but the one you chose depends on what you’re offering. For example, an SEO agency wouldn’t want to use “shop now” if we’re not selling a range of products. 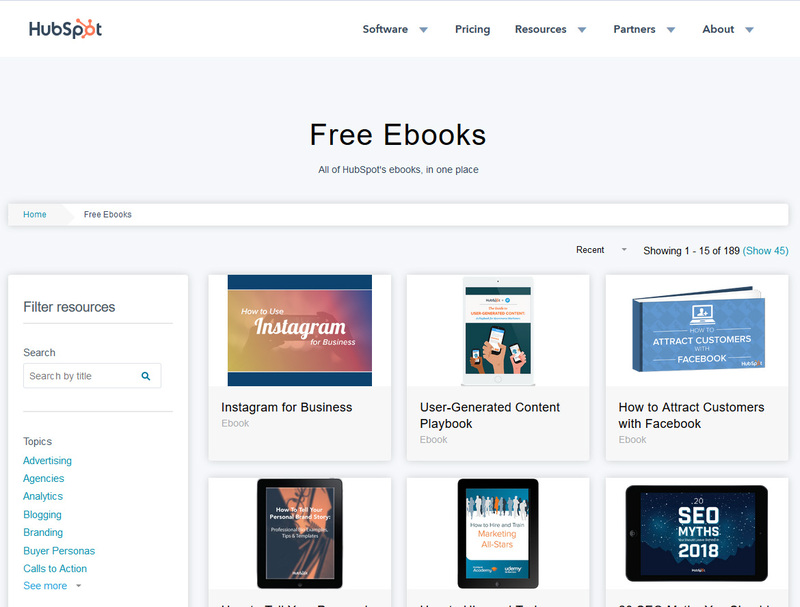 ProsperWorks, a CRM tool, uses “get started free” as the main call to action on their homepage. Not only do the words ‘get started’ prompt you to take action, but adding ‘free’ on the end gives people a reason to do so. Since they don’t have to hand-over their cash just yet, why wouldn’t they click it? Once you’ve found your call to action word, you’ll need to test which is working. Experiment with colors, positioning and the text used in your buttons using Google Analytics conversion paths, and opt for the ones with the highest conversion rates. As you can see, creating content based on where your customers are in the buying process is an extremely powerful tool when implemented correctly. However, it’s important to remember that these tweaks to your overall strategy take time. SEO is a long-term investment; it can take up to 12 months to see any results, but stick with it and see what’s working. You’ll soon find a content marketing strategy that brings a ton of relevant traffic and see a significant boost to your on-site conversion rates, too. Published on 06/13/2018 by Aaron Inglethorpe.